Star Lash Eyelash Enhancer Review - Is it a Scam or Legit? 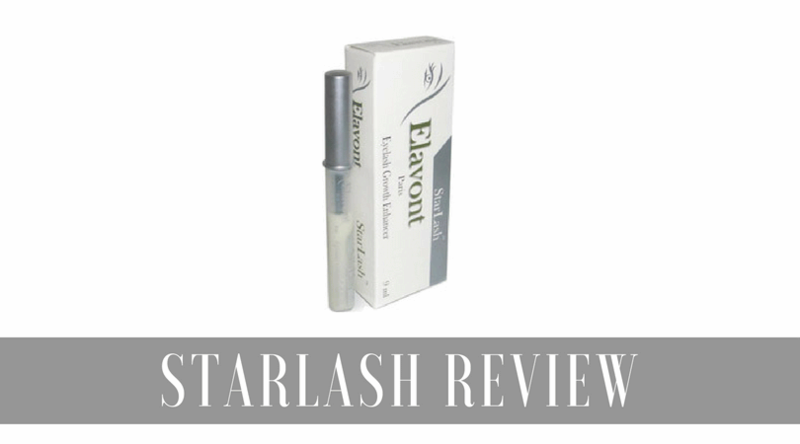 Elevont Corporation released StarLash Growth Enhancer into the cosmetic market in January 2009 as newly revamped eyelash enhancement treatment that is gentle and effective in promoting longer and voluminous lashes in just 3 weeks. The product promises to maximize your natural lashes and bestow upon you lashes of a movie star, which is high promise indeed. The product claims to be mild enough to be used in conjunction with any kind of makeup or eye creams once the liquid has dried up after application. The method of application is slightly different for Starlash user from the other brands. Use the applicator to brush the formula first along the edge of the eyelid and then coat the lashes from root to tip as you apply mascara. Pricing of a tube of starlash at $80 is affordable in comparison with other products belonging to the same category. The all-natural ingredients promises low incidence of allergic reactions and minimal side effects. The website offers a full refund minus the shipping costs with no questions asked if you return the product within 30 days of purchase in the event of your dissatisfaction with its effectiveness. Online customer reviews for this product are few and far between maybe due to the fact that it is relatively new to the market. The ingredients list is given under FAQ in the official website of Starlash that can be easily overlooked and while describing the product it refers to generic terms such as peptides, nutrients, and vitamins that hardly satisfies those of us who base our purchase decisions on knowing the product and what goes into it. The method of application leaves room for the liquid to come in direct contact with the eyes that may cause irritation and if the irritation persists, you have to consult a doctor immediately. California based Elevont Corporation claims to have done extensive research to manufacture Starlash but fails to provide clinical findings of scientific research that support their claim. Starlash Growth Enhancer is marketed as a product containing 100% natural peptides, minerals, vitamins, and other nutrients that provide volume and bounce to the lashes by conditioning and prevent breakage and splitting by forming a protective covering over your lashes. According to their claim, the ingredients in the product promote faster and stronger lash growth. It is supposed to contain non-toxic formula that prevents irritation to even the most sensitive of eyes. The ingredients include Castor seed oil, Dipropylene Glycol, Hydrogenated Lecithin, Inositol, Glyceryl Laurate, Folic Acid, BHT, Butylparaben, Propylparaben, Isobutylparaben, Ethylparaben, Xanthan Gum, Biotin, and Cetearyl Alcohol. Starlash Growth Enhancer is developed by Elevont Corporation, a beauty product supplier that claims to be a market leader in the health and beauty products. Despite the competitive pricing, and the unique method of application of the product that can be used as easily as you would mascara it fails to instill a sense of trust in the promises with the lack of solid backing in the form of clinical or scientific data that discloses the safety and efficacy of the product. It is advisable to proceed with caution while purchasing this product based on just hearsay and heavy promises from the manufacturer.